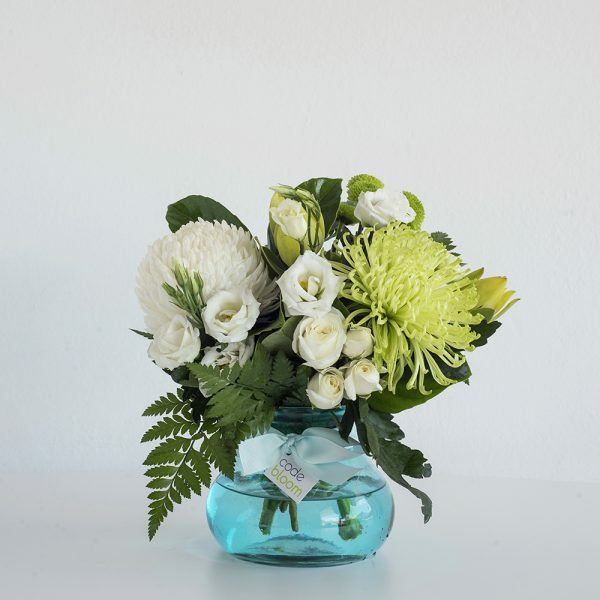 Gorgeous blue posy jar with seasonal white and green blooms. A perfect way to welcome a new baby boy or for a lover of all things blue! Our florists will pick the best green and white blooms and arrange them with greenery to suit into a blue posy jar.